Fräsch is bold, fresh and edgy with a tech feel, and has an appreciation for the environment. What separates Fräsch furniture from much of contemporary design furniture is the funky flare and the value offered. The work of Fräsch is conceived and executed at an extraordinarily high level of aesthetic and engineering detail. The products are innovative and original. There is a fresh spirit to the furniture, but the character of each piece is grounded firmly in the principles of classic modern design, simplicity and timelessness. When you buy from Frasch, you can count on three important promises. 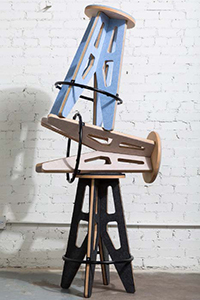 One, every piece of furniture is made from quality components and designed to perform. Two, the value is unparalleled. You can certainly find more expensive office furniture, and there are always cheaper options – Fräsch is “just right” for small businesses who want a balance. Third, if something’s not right, just reach out and it’ll be made right. Same great sound. Seven new colors. 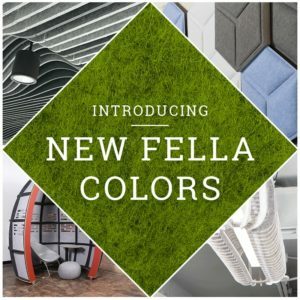 Stille by Fräsch proudly brings you new Fella acoustical felt colors to complement your space and designs. 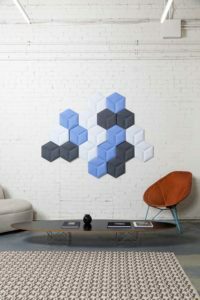 Add Fella tiles or furniture to your space and listen to the difference. The perfect solution for open offices, conference rooms and anywhere else beautiful design is desired.